A person’s set of teeth are valuable for a number of reasons. The most obvious and significant of these reasons is that a complete set of teeth allows them to smile with confidence. Who wants to hide their smile? Our teeth permits proper nourishment, improves speech, holds the bite and maintains the integrity of the facial structures. Most people are not so concerned about the other functions: so they are quick to dismiss oral health, but when you begin to warn them about not being able to smile they begin to see things clearly. Brush your teeth regularly. Tooth brushing is the most basic, yet the most important oral hygiene practice you can observe religiously. You brush teeth thoroughly on all surfaces, using a fine bristled-brush. Use small round circular strokes, with the bristles directed to the teeth and gums at a 45-degree angle. Floss regularly. While the toothbrush may be good with cleaning most surfaces of the oral cavity, it may not be good enough especially with the spaces in between teeth. Foods can get trapped in between and only a floss can take properly smooth it out and prevent unwanted plaque build-up. Rinse your mouth with mouthwash. Mouthrinses come in various formulations, and there are some brands that have ingredients that will help promote good oral health. 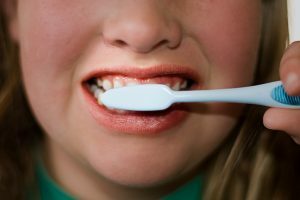 Xylitol, a known sugar substitute alters the pH of the saliva so that the teeth are least susceptible to dental caries; chlorhexidine gluconate is an ingredient that can promote soft tissue healing; and there are so many other interesting components that can be incorporated into the mouthwashes. Choose your toothpaste well. There are different types of toothpaste and it will be best for you to match your oral condition with the toothpaste’s main ingredient. Like: use a gum toothpaste if you have gum problems; and use a sensitive toothpaste if your teeth are more sensitive. See your dentist regularly. Apart from your diligence to do all possible at home on your own, you should make an effort to see your dentist on a regular basis, so that he can monitor your oral health condition and perform any necessary work when needed. Who wants a toothless smile, right? Inasmuch as one would like to think that their teeth survive can in the mouth forever, you cannot guarantee that unless you work hard for it. While your dentist can afford a good battleground that will effectively combat disease, at home you will perform oral hygiene practices that will strengthen and truly show the beauty of your smile.